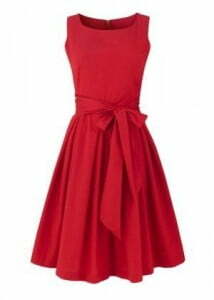 What is the color cherry red and what matching colors you can wear with it? This is a very rich berry shade that will not leave indifferent to it or have any others..
light orange (for a bright look). Correct matches with cherry red are hot and eye-catching. It can suggest a real intrigue when combined in a proper way. 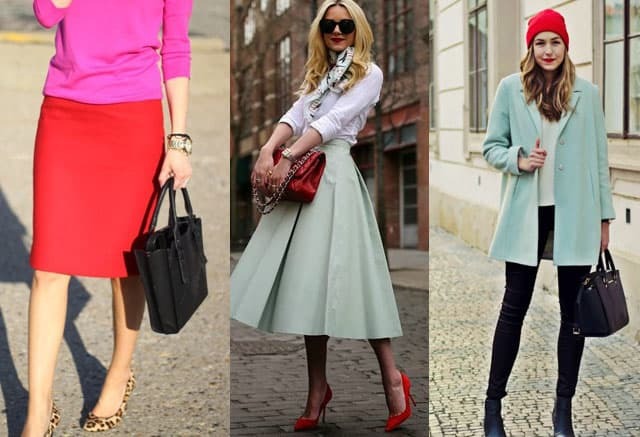 If you choose cherry red for winter, mix it with navy, black or white. In order to make it lighter in summer, wear it with different variants of off white, for example very light beige. In any season it will highlight your strong personality and give you more confidence and energy. It adds cheerfulness to your wardrobe and makes you look glamorous at festive dinner and bright in everyday life. If you do not want to catch attention, use it for clothing details and accessories. We cannot say for sure what color goes with cherry red matches you most of all. Try different complementary shades in different zones and do not be afraid to break the established rules, if you feel comfortable in the shades selected. 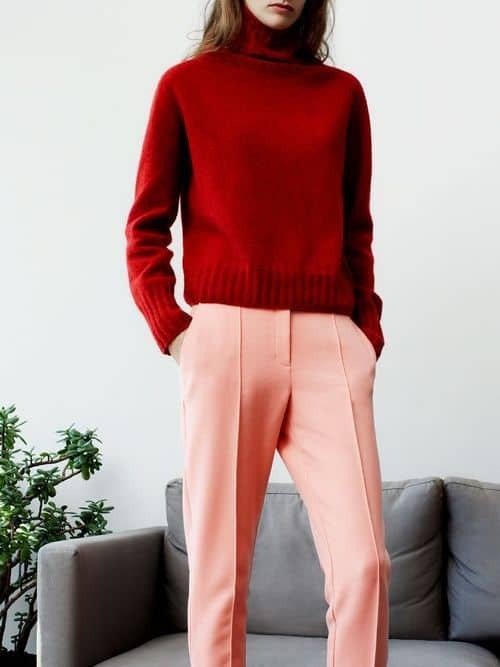 Remember that this color can make your figure full. Cherry red overalls with camel clutch. Romantic and cute image.